Beautiful sports shirt, professional quality and completely made of re-used materials. Change yourself and the world! 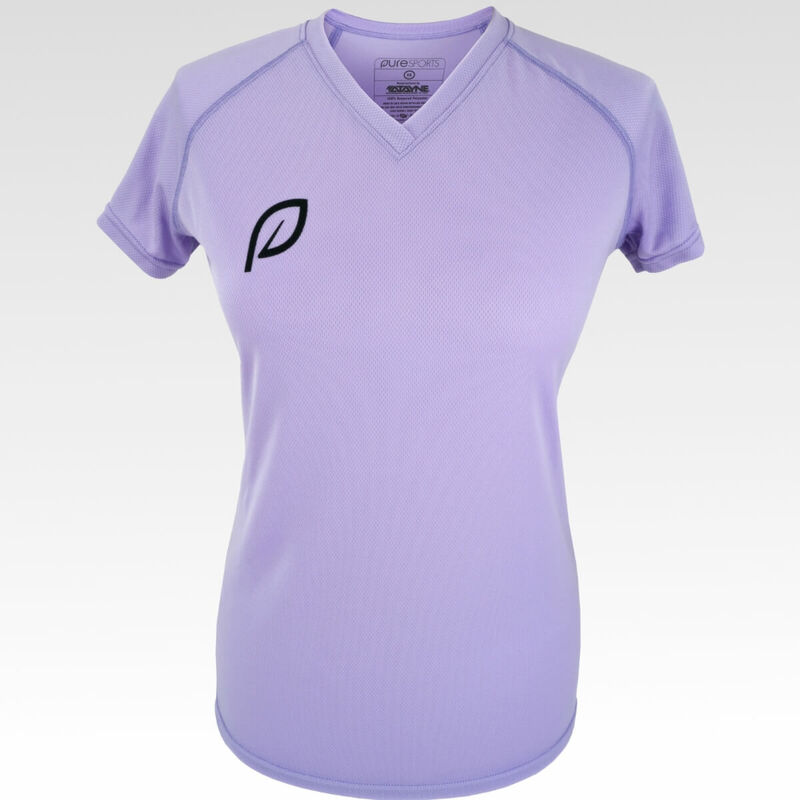 A beautiful pink / lilac ladies sport shirt. The shirt has a stylish design through the V-neck and raglan sleeves. The model is a bit tight, but not too much. This makes it not only delicious, but also looks great. The fabric is wonderfully light and supple. 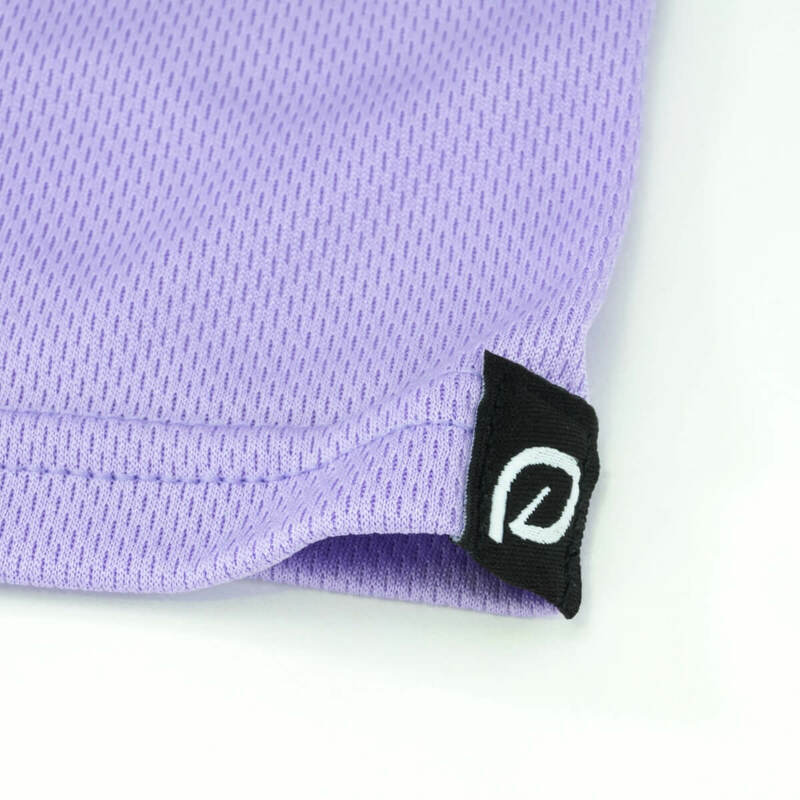 A black Pure Sportswear logo is printed on the front and back of the shirt and a subtle label is attached to the sleeve. This sport shirt is of professional quality, but at the same time also completely durable. It is made from 100% recycled plastic bottles. Production takes place in safe working conditions for fair pay. 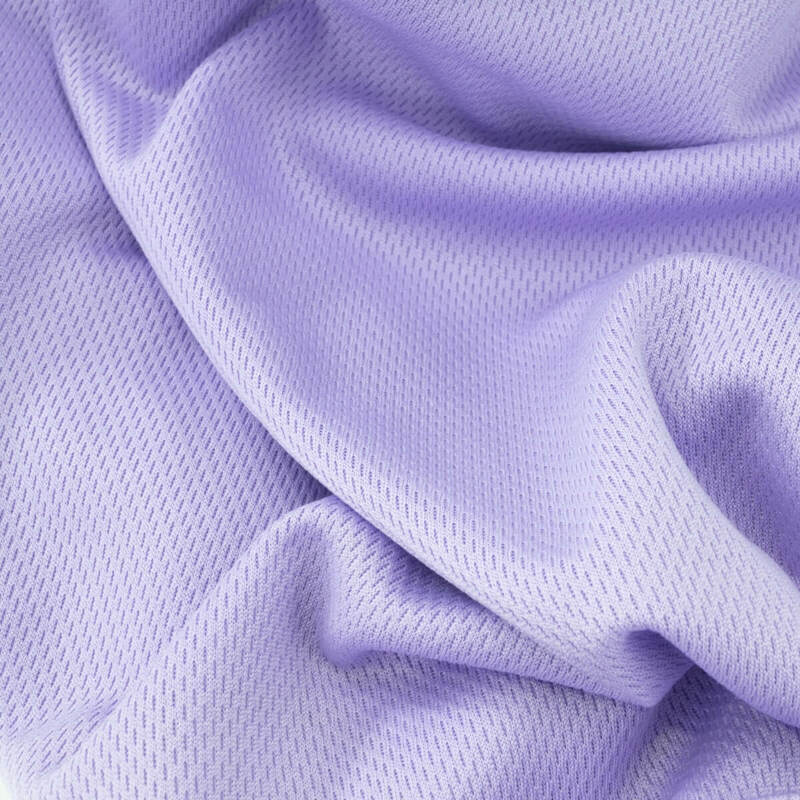 Later you read the inspiration for this beautiful lilac ladies sport shirt. 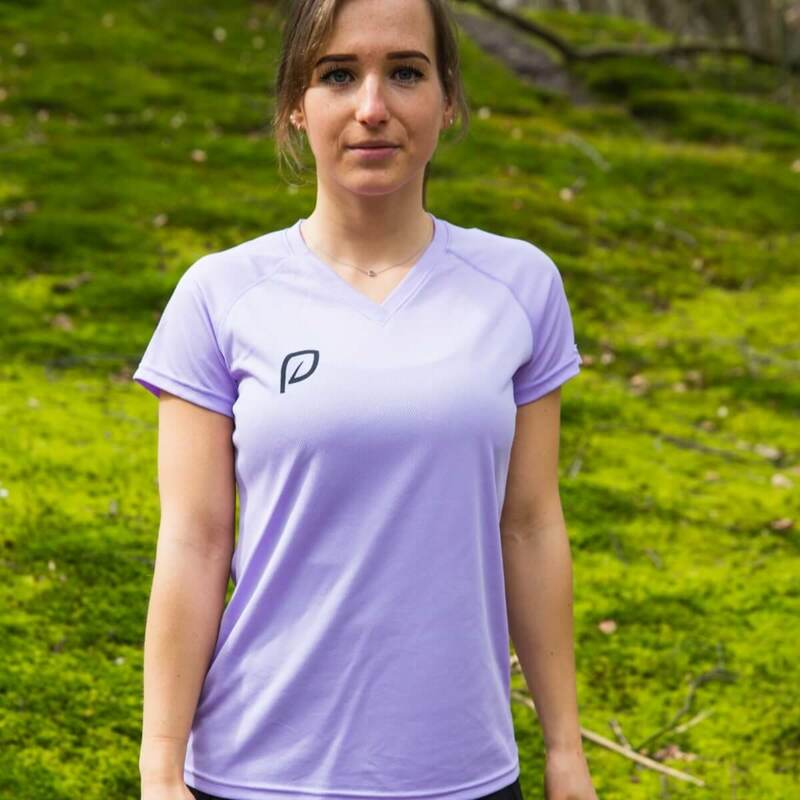 ⇒ This beautiful sports shirt is also available in black. Working out is working on yourself. You can run, powerlift, walk or dance, you are working on being a better you. Being better than you were yesterday. We think it is strange, to say the least, that your sportswear does the opposite. It causes environmental pollution and production takes place under poor working conditions. That has to change! We flip the process. Our sports shirts help improve the environment. The bottles needed for production are collected from nature and production creates safe, and well paid, jobs. 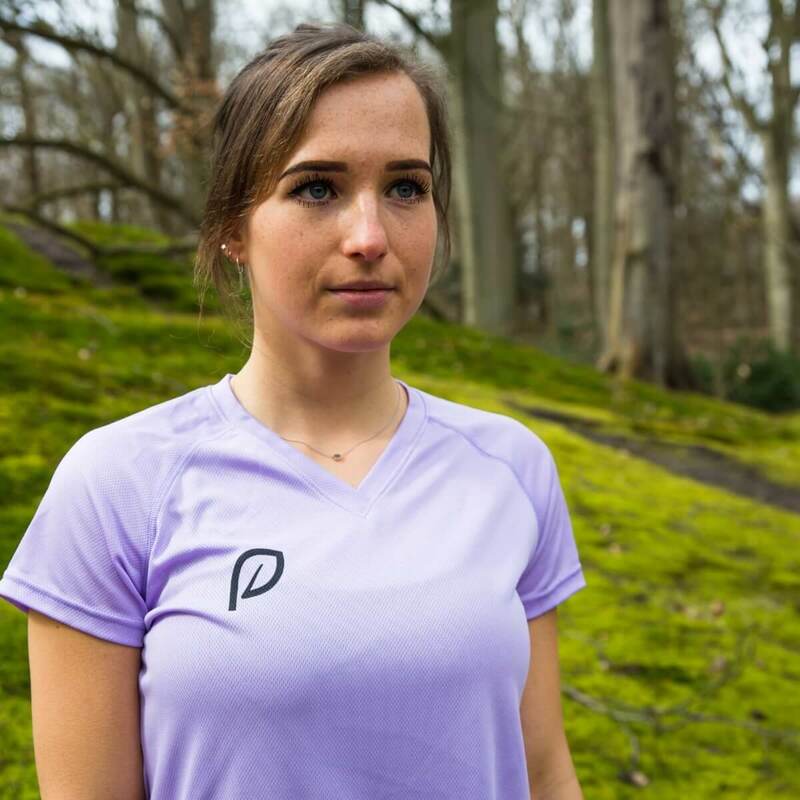 Working out with Pure Sportwear means working on yourself and your environment! Shipping: free within the Netherlands. Delivery time: within the Netherlands 2 business days. Outside: check here. Package: fits in the standard mailbox so you do not have to stay at home. Return: not 100% happy or the wrong size? Use this return form. Size: please note that the shirts are slightly bigger than standard. Use our size table for selecting the right size. Warranty: the shirt is from professional quality so we are giving full warranty! "The shirt is beautiful and fits well"
"Superior quality and great design"
"Lovely shirt! Very happy with it"
By selecting the right size you prevent the unnecessary back and forth shipping of packages. Good for you, us, and the environment=) Please make sure you choose the right size, using this table. Lengths in the table are the lengths of the fabric, not the body.